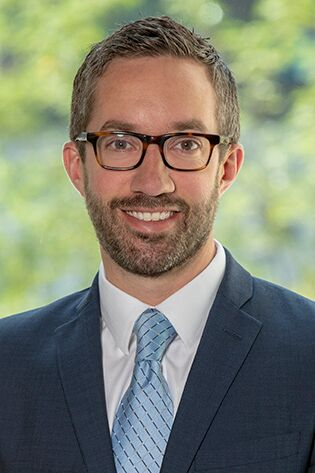 Chad concentrates his practice on all aspects of employee benefits and executive compensation law, including the design, drafting, and administration of qualified and nonqualified retirement plans, health and welfare plans, fringe benefit plans, and equity-based compensation arrangements. Chad advises clients with respect to, among other things, compliance with the Internal Revenue Code, ERISA, COBRA, HIPAA, PPACA, FMLA, MHPAEA, and any other laws or regulations, from the federal to the state and local level, that impact employee benefit plans or executive compensation arrangements. Preparing plan documents and participant communications. Advising as to correction of retirement plan qualification failures and nonqualified deferred compensation plan violations of 409A. Drafting equity compensation arrangements, including stock option, restricted stock unit, as well as drafting nonqualified deferred compensation arrangements, supplemental retirement, severance, and change-in-control plans. Representing plan sponsors in front of the IRS, DOL, and HHS. Advising as to compliance matters with respect to health and welfare plans, including medical, dental, vision, and prescription drug plans, cafeteria plans, health FSAs, wellness benefits, disability plans, employee assistance plans, and on-site medical clinics. Advising as to issues associated with fringe benefit arrangements, including tax and withholding matters. Negotiating vendor contracts on behalf of plans and plan sponsors. Advising multiemployer plans and trusts on all employee benefit and trust matters. Advising governmental employers as to applicable state and municipal laws related to employee benefits.